The Videofreex were far, far ahead of their time, though sorely unknown to those outside the NY video art scene of the 1970s. 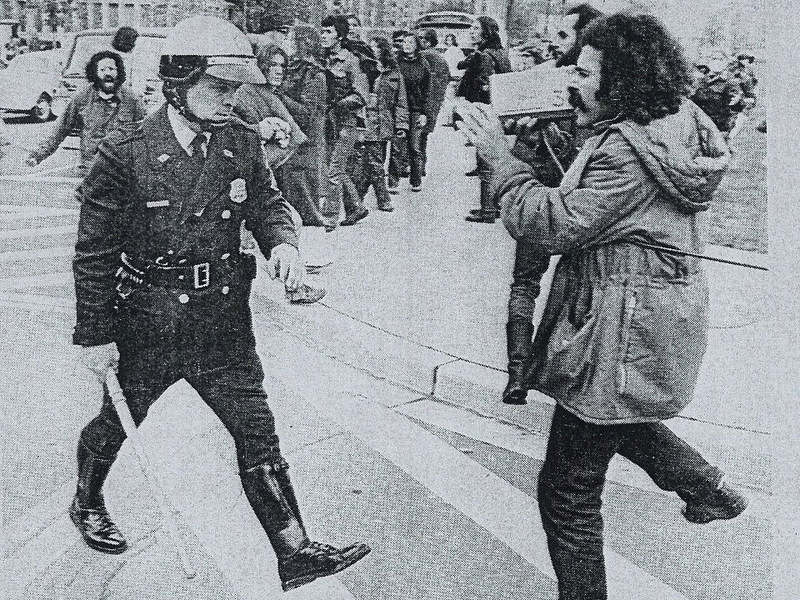 Long before the current ubiquity of hand held video we take for granted today with our smart phones and digital cams, the Videofreex were pioneering video art, guerrilla broadcasting, reality tv, and social media some twenty + years before the Web even existed. 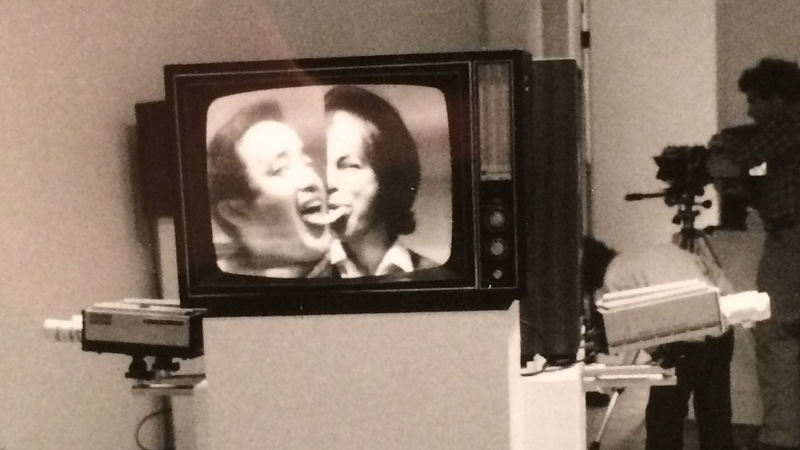 On our road trip to upstate NY, we managed to stumble (thanks to friend Deb Howes) on this radical little exhibition, Videofreex: The Art of Guerrilla Television, curated by Andrew Ingalls, at the Samuel Dorsky Museum of Art, SUNY New Paltz. This show is nothing short of a revelation. There is much to write about: this important slice of media history unveils a fast-moving, highly creative period in video art between 1969 and 1978, when video as an emerging art form was on the move in downtown NYC, and when Nam June Paik himself had only just discovered guerrilla-style video making with the Sony Portapak. 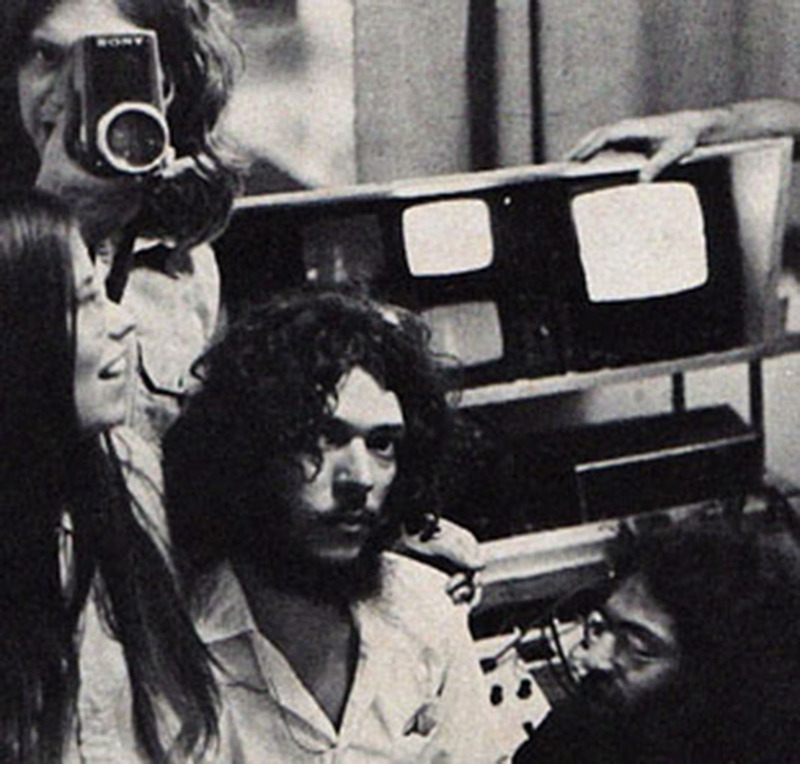 Very early on its history, the Videofreex embraced the new media with a vengeance. The Videofreex story has legendary roots, when David Cort and Parry Teasdale met at Woodstock, wielding video cameras to document the Festival and the social movement that was exploding at the time. Afterwards they joined forces with Skip Blumberg, Nancy Cain, Bart Friedman, Davidson Gigliotti, Mary Curtis Ratcliff, Carol Vontobel, Ann Woodward, and the late Chuck Kennedy, to form a media collective with a mutual passion for video and its potential for catalyzing political, artistic and social transformation. David Cort at a Vietnam protest about to be clubbed. Courtesy Videofreex. 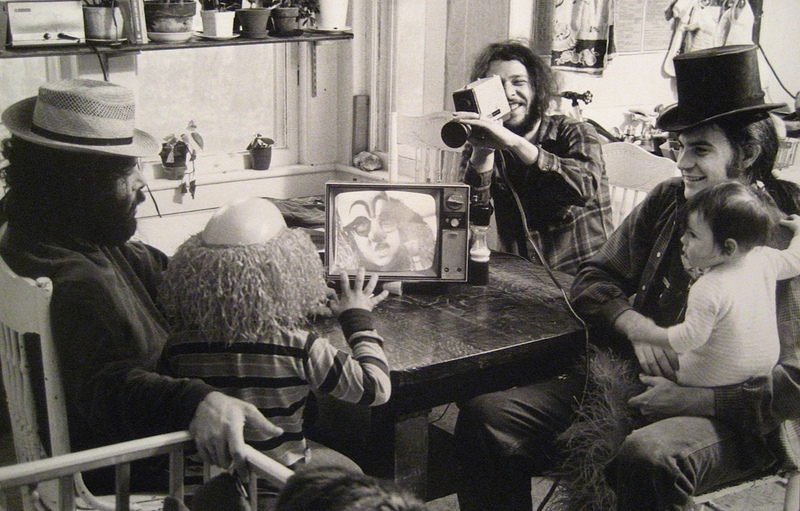 Among the Videofreex many pioneering achievements was establishing the Maple Tree Farm video center in Lanesville, NY (located in the rural Catskills), where as media-savvy hippies they befriended the upstate locals – just regular folks – to establish the first community pirate tv station in America, even before pirate radio became the rage in the 1980s. In a remote setting where only one or two network channels were available, they took hold of the airwaves and created their very own station with rigged television equipment. And not only did they illegally broadcast local news, community goings on, storytelling, and whatever, they created it in their own form of reality-tv-verité: a DIY guerrilla-style home-brewed form of television. 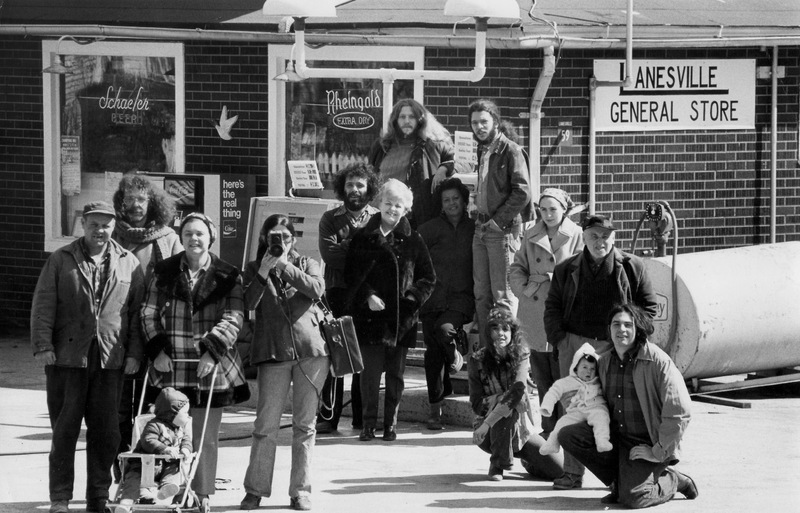 The Videofreex needed no permission, dissolving cultural barriers between hipsters and rednecks to activate a form of social media tailored specifically to this unusual mix of upstate New Yorkers. 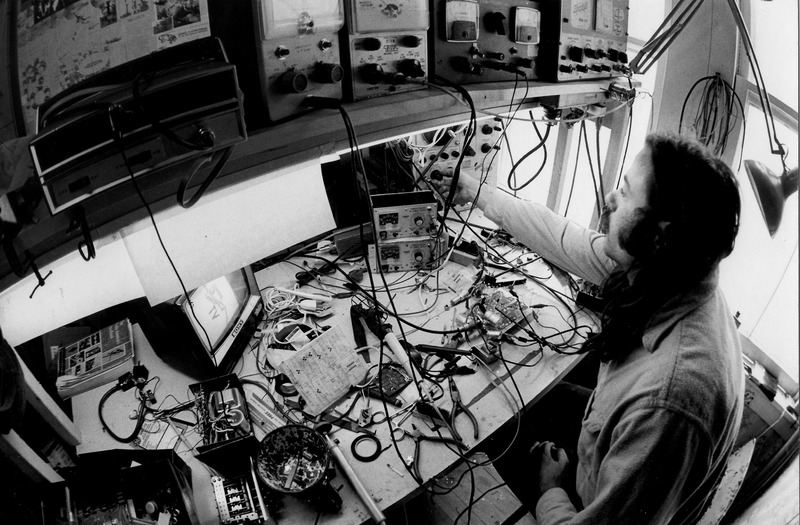 The Videofreex understood the future of television, styling a unique approach far outside the mainstream of traditional tv. They embraced the intimacy of television in their interviews with political activists such as Abbie Hoffman; they captured alternative culture in America when it was a force to be reckoned and wasn’t properly covered by mainstream media; they reinvented broadcast journalism with their direct style that challenged packaged, network television news with its slick format and over-produced graphics; and perhaps most importantly, they saw video as a collaborative, social medium, a people’s media: encouraging viewer participation through the free and immediate exchange of ideas and images. The pure creative joy of Videofreex begs the question in our socially-infused networked culture when so many people across the globe now hold a broadcast camera in the palm of their hands: where does television go from here?